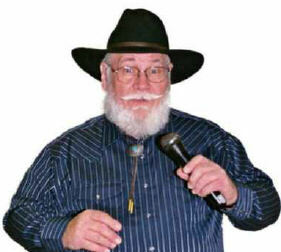 I specialize in conducting Square Dance / Country-Western Parties for adult groups with no experience necessary, as well as Daddy/Daughter or Mother/Son dances and family groups. Sometimes I include the popular Hustle or other line dance and novelty dances like the Hokey Pokey and Chicken Dance for Family groups. The Virginia Reel is often a part of the repertoire. This is a wonderful group activity for corporate events, couples clubs, church groups, girl scout daddy/daughter groups and family groups. I have been calling since 1961. I bring all the necessary sound equipment and recorded music to make your dance party a success. Optional Live musical accompaniment is available. "If you can walk, you can dance."